Divorce is a painful process in which the couple decides to separate in the court of law and live on their own. 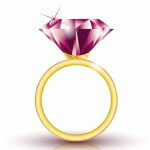 Divorce takes its own time and meanwhile, the couple undergoes a period of intense emotional upheavals and conflicts. And when the couple has kids, the process is even more intense for both the parties. The parents have to cope with their own separation pain and at the same time support and guide their child in a positive way. There are different ways a couple can choose to help your child cope with divorce and ensure that they are impacted in the least possible way. How to break the news to your kids? Once the couple decides to part ways, it is very important, how the news is conveyed to the child. It is the duty of the parents to break the news in such a way that the child is able to cope up with it. They should be ready with the answers to the questions and doubts the child may have. Following a possible course of action will help the child to recuperate from the painful situation and lead a normal life. When counseling your child it is better to forget the differences and both of them be present. Instead of fights, arguments, and disagreements, you both have decided to separate in order to maintain peace and stability. This should be the reason given to the child for your divorce. You have to convince your child that he is not in any way connected or responsible for this decision. The child should be taken care of and be loved even after the divorce of both the parents. You have to assure your child that he will get to spend time with both the parents equally. Once you have separated or legally divorced from your partner, it is up to you how you cope with parenting, keeping aside your own heartbreak and sorrows. 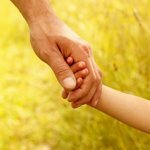 There are different ways by which you can handle the kid’s reactions and help them cope with divorce. As a parent, you have to keep aside your own emotional struggle and be prepared to handle your kid’s reactions when you break the news of your divorce or separation. Your child’s reactions may range from anger, frustration, confusion, depression, fear, worry, etc. depending on age and maturity levels. As a parent, you have to assure your child that you understand and care for the child’s feelings. He/she may react by being stressed and taking out her stress in a negative way at home, school or playground. Or the child may go into denial and act as if everything is normal to cover up the difficult feelings that brew inside and is unhealthy. The child will have many questions such as, who will take care of me? do we have to move out? will I get to stay with each parent? do I have to change school? will I get to see my friends? and much more. Understand that you are the best person to answer their questions so don’t panic and handle the situation calmly. Most of the times when a family breaks up, honesty is one of the reasons. And it is honesty which encourages your child’s faith in you as a parent. 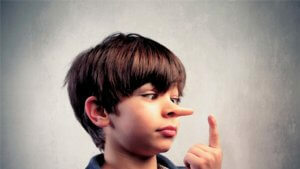 Be as honest as possible when your child asks questions related to your separation. Children often find it difficult to express their feelings. They tend to bottle up the emotions inside them which is harmful. As a parent, we have to encourage our child to speak out his feelings related to the divorce. We have to accept the feelings, whether it is anger, hurt or worry and convince our child that having such feelings are natural and valid. Assure your child that she has unconditional support from both the parents whenever there is a requirement. If necessary take the support of your friends or relatives who are close to you in caring and counseling your child. Taking a break and spending time with your child’s friend’s family or grandparents will be relaxing for both you and your child. Keeping yourself healthy after the turmoil in your life will help you and your child to cope. Making friends, involving yourself in sports or social activities will boost your confidence and that will reflect in your child. Your child’s mood will uplift when she sees you happy and confident. When you are in a stressful situation during or post-divorce and not able to care for your child, it is better to have an alternate arrangement for your child. Keeping your child in a boarding school or with a friend’s or relative’s family for some time until you recover will be a good alternative. Change of place and people will help your child to put behind the past. When you and your child communicate to share feelings especially during and after divorce, it eases out the pain and helps to heal you and your child. Communication will be easy when you and your child are having dinner or doing some chores rather having one to one discussion which may be stressful. As parents, we have to understand that the child loves both the parents equally. If the parents fight before the child, it creates an ugly situation which will distress him. He will be hurt and do not know how to react and this will have an impact on his psychology and future relationships. Saying goodbye to your partner with a smile even when it is painful will help your kids to understand that separation is okay. This also keeps the doors open when you want to consult your partner about issues related to parenting or any health emergency of your child. Once divorced, you as parents should be very clear about your custody rights and how you share the responsibilities of grooming your child without any hostility. As a parent, you should stick to when you visit your child or take your child for an outing and don’t cause any inconvenience to your ex. 10. Adjusting to a new living place. Sometimes the outcome of divorce is one parent moves away to a new place or new city. The child also may have to move if he is with the parent and has to accustom to the new environment. Coping with the separation of one parent and then moving and adjusting to a new place takes a toll on the child’s mind. The mother or the father with whom the child is should make efforts to familiarise the child with the neighborhood and help him make friends and mingle with his age group. The parent should encourage the child to talk to his other parent and share his feelings about the new place. The parenting pattern, when you are divorced or going through a divorce will be different from normal parenting. Either you have to bring up your child single-handedly or share with your ex. 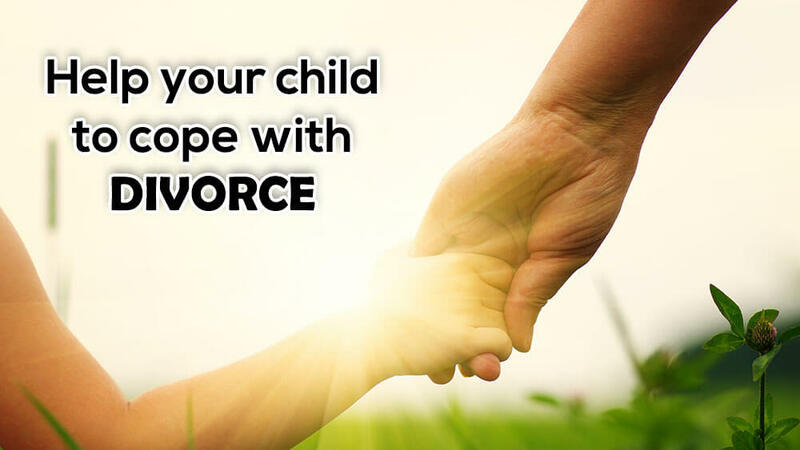 Based on the situations, there are different types of parenting for helping your child to cope with divorce. 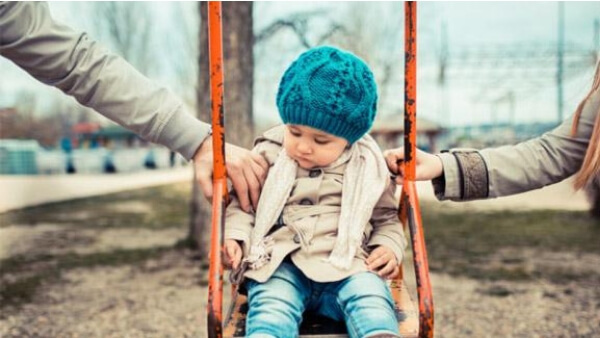 In divorce parenting the couple separates and one of the partners, either mother or father hold’s the custody of the child while the other parent has visiting rights. The parent who has custody takes complete responsibility of the child while the other parent only gets time to spend with the child and has a relatively less role in parenting. In supportive parenting, the parent who is taking care of the child is supported by his or her ex. especially when there is an emergency. For instance, when one of the parents is traveling or confined to the bed, the other parent supports by taking care of the child. This benefits the child in a positive way. In co-parenting both the parents have equal rights on the child. But many times conflicts arise when the parenting styles of both the parents differ. One of the parents may be strict and disciplined while the other parent may be lenient. The child will be confused and will prefer one parent over the other. Maturity levels and understanding between the parents will make co-parenting successful. Mistakes in parenting by divorced parents. Many times the divorced parents make mistakes when parenting their child. The parents compete with each other to be the favorite parent of the child. They try to cover up the behavior issues of the child and put the blame on the other parent. Talking negatively about the parent and feeling sorry for the child are the mistakes which should be avoided. 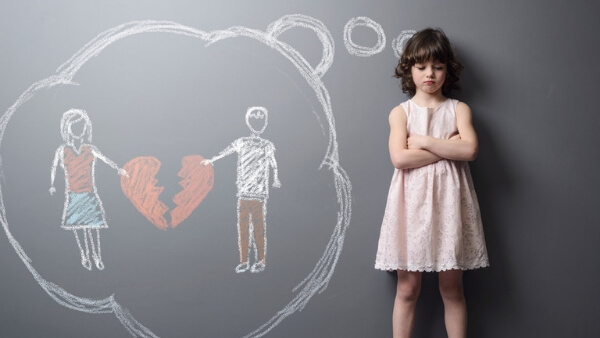 As parents, we know that divorce or separation can be a terrible situation for the child. But when the inevitable has happened, it is best to cope and then concentrate on our child and find ways to nurture them in a positive way.